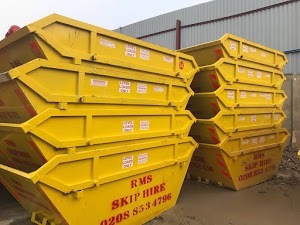 RMS Skip Hire is one of the most renowned Skip hire companies in Erith. We strive to go above and beyond to offer the most fulfilling skip hire experience to each client. Our experts make every possible effort to understand your requirements so that you can get the kind of skip hire solutions you need. We have managed to create a unique reputation of offering the most affordable and prompt skip hire services and end-to-end waste management solutions to every client in Erith. Our certified team is always ready to put extra efforts to streamline the waste management process for you. Our skip hire and waste management experts are devoted to making constant communication with you to solve all your doubts about the skip hire process. Our ultimate strength lies in offering a seamless skip hire experience to both individuals and organisations. What helps us stand out from the crowd is our ability to deliver beyond your expectations. We have a wide range of high-end vehicles that makes it easier for us to deliver your skips at the right time. Whether you need the skips on the same day or next day, we make sure that you get your equipment whenever you need it. We also provide Skip Hire Permits to make it easier for you to keep the skip on the road, in case you can’t keep it in your land. Whether you are someone who needs skips to get rid of residential waste or a builder who wants to keep the site in order by eliminating construction waste, we have all kinds of skips to match your needs.